These premium properties in Lakewood, M-Streets, and Old East Dallas were listed for lease as of April 13, 2019. Click on the address for more information on each, including photos and a map of its location. For more information about any of these premium properties in Lakewood, M-Streets, and Old East Dallas, or to schedule a showing, contact John Pritchett 214.234.0056, JPritchett@msn.com. ° Lovely 2 Bed,1 Bath Duplex is Conveniently Located near White Rock Lake! Hardwood Floors are in the Living Rm, Hallway and Bedrooms! Vintage Tile is in the Kitchen and Large Bathroom! Amenities Include: Shared Garage, Sprinkler System, Fenced Yard, Full Size WasherDryer Connections, Extra Storage, Fresh Paint! ° Additional Info: Pets allowed limit 1, unfurnished, available 6/1, 1 covered parking space(s), Dallas ISD. ° Listing Agent: Paul Stanzel, Paul Stanzel Realtors, Inc.
° Additional Info: No pets allowed, unfurnished, available now, 1 covered parking space(s), Dallas ISD. ° 2 BEDROOM, 1 BATH DUPLEX WITH SS APPLIANCES, REFRIG WITH ICE MAKER. RECESSED CAN LIGHTS IN LR, TILE IN BATHROOM AND KITCHEN, CARPET IN BEDROOMS, WOOD FLOORING IN LR & DR. MINI STACK WASHER & DRYER. 2 CAR GARAGE SHARED. 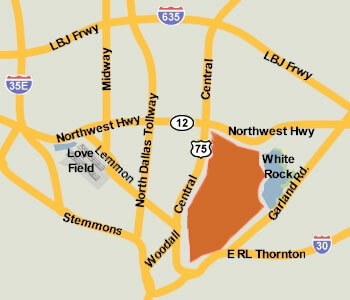 THIS PROPERTY IS CONVENIENTLY LOCATED CLOSE TO WHITE ROCK LAKE AS WELL AS SEVERAL MAJOR SHOPPING CENTERS AND RESTAURANTS. IF YOU ARE A PROFESSIONAL LOOKING FOR A GOOD HOME NEAR AN ACTIVE COMMUNITY THIS IS THE PLACE FOR YOU. ° Additional Info: No pets allowed, unfurnished, W/D connections incl., 2 covered parking space(s), Dallas ISD. ° Charming 2 bed 1 bath upstairs unit. Full kitchen with stackable washer and dryer. Hardwoods throughout with vintage fireplace and architectural details. One garage space in full detached garage. Plenty of off street parking. Just a few blocks from Whole Foods, Times Ten Cellars and all Old Town Lakewood has to offer. ° Additional Info: Pets allowed, unfurnished, 1 covered parking space(s), 1 fireplace(s), Dallas ISD. ° Charming 2 bed 1 bath in this downstairs unit. Hardwoods throughout with vintage architectural details and decorative fireplace. Lots of storage. Garage space and plenty of off street parking. Walk or bike to Whole Foods, Times Ten Cellars and all the best of Old Town Lakewood.Full sized washer and dryer conveniently located off the kitchen. ° Additional Info: Pets allowed, unfurnished, 2 covered parking space(s), 1 fireplace(s), Dallas ISD. ° Additional Info: Pets allowed, unfurnished, W/D connections incl., 0 covered parking space(s), 1 fireplace(s), Dallas ISD. ° Don't miss this wonderful opportunity on a beautiful block in the M-Streets! This charming 2 bedroom 1 bath duplex offers hardwood floors, spacious light-filled rooms, a covered front porch and balcony off the bedroom. Your car is covered with assigned space in the 2-car shared garage. Refrigerator and modern stacked washer-dryer remain. Small pets welcome. Convenient location close to food, fun and shoppingâ€¦Trader Joe's, Whole Foods, Central Market and all the great restaurants and shopping along Greenville Avenue. ° Additional Info: Pets allowed limit 1, unfurnished, available 4/15, 1 covered parking space(s), 1 fireplace(s), Dallas ISD. ° Nice single story brick duplex located in Mockingbird Elementary award winning school district. New hardwood floors in large living area with fireplace. Kitchen with granite counter tops and new appliances and breakfast bar. Dining area. Split bedrooms with good closet space. Utility room with full size connections. Small fenced yard. One covered parking. One car garage. ° Additional Info: Pets allowed limit 1, unfurnished, W/D connections incl., 1 covered parking space(s), 1 fireplace(s), Dallas ISD. ° Well maintained duplex. You will not find a unit that provides all of the extras we have here. Granite counter tops in kitchen and baths. Kitchen has micro wave, frig, Washer and dryer are also in the home but not warranted. 2 full baths, fireplace in family room. Parking for 2nd vehicle in addition to the one car garage. A location that is in the best of East Dallas. Outdoor area, perfect for your evening barbecue. Do not miss viewing this one. ° Additional Info: No pets allowed, unfurnished, 1 covered parking space(s), 1 fireplace(s), Dallas ISD. ° Charming 1920's Tudor duplex unit! Shared large backyard with an oversized balcony and screened in back porch. Beautiful hardwood floors! ° Additional Info: Pets allowed limit 2, unfurnished, W/D connections incl., available 5/5, 0 covered parking space(s), Dallas ISD. ° MOVE IN READY. This Outstanding Location for this spacious 2 bed, 2 bath with an additional living area that could be used as a great office or playroom. Kitchen has stylish kitchen cabinets, granite countertops, stainless appliances, energy efficient doors, window and a tankless water heater. Fenced in backyard with dog door access. Great hardwoods throughout except for tiled kitchen, baths, and study. Feet away from Tietze Park. ° Additional Info: Pets allowed limit 2, unfurnished, W/D connections incl., available now, 1 covered parking space(s), 1 fireplace(s), Dallas ISD. ° Tudor-style duplex in sought-after M Streets with tons of charm and character! Upstairs unit with beautiful hardwood floors, fresh paint, crown molding, and new carpet. 2 spacious bedrooms and additional storage and closet space. Huge living room boasts decorative rockwood tile fireplace. Must see!! ° TUDOR-STYLE DUPLEX IN SOUGHT-AFTER M STREETS WITH TONS OF CHARM AND CHARACTER! DOWNSTAIRS UNIT WITH BEAUTIFUL HARDWOOD FLOORS, FRESH PAINT, NEW CROWN MOLDING, AND NEW CARPET THROUGHOUT. 2 SPACIOUS BEDROOMS. HUGE LIVING ROOM BOASTS DECORATIVE ROCKWOOD TILE FIREPLACE AND FLOOR TO CEILING STAINED GLASS WINDOW. MUST SEE!! ° Additional Info: Pets allowed limit 2, unfurnished, 1 covered parking space(s), 1 fireplace(s), Dallas ISD. ° Fabulous Studio Duplex with 1,995sf has 2 Bedrooms, 2.5 Bathrooms, 2 Car Attached Garage and a Private Fenced Backyard with a Covered Patio! Granite Counters in Kitchen and Bathrooms! Downstairs has Spacious Living Areas with Lots of Natural Lighting, Updated Ikea Kitchen, Powder Bath and Full Size Utility Room. The Upstairs Features 2 Large Master Size Bedrooms with their Own Private Bathrooms and Walk In Closets! 2 inch Blinds throughout. Pets on a case by case basis w $300 nonrefundable pet fee. Great location near Downtown, White Rock Lake, Greenville Ave and Park Cities! ° Additional Info: Pets allowed limit 1, unfurnished, available 5/3, 2 covered parking space(s), Dallas ISD. ° Beautiful 1937 C.D. Hutsell second floor duplex on the beautiful eastern end of Lakewood Blvd that sweeps toward White Rock Lake. Hardwood floors. Living area with decorative fireplace. Dining area. Updated Kitchen with pantry. Updated bath. Stacked washer & dryer provided. Great landscaped shared backyard with goldfish pond. Uncovered reserved parking spot. Water, trash, and yard care included in price. ° Additional Info: Pets allowed, unfurnished, W/D connections incl., available now, 0 covered parking space(s), 1 fireplace(s), Dallas ISD. ° This mid century modern duplex is in one of the best locations in Dallas. Just steps from Greenville Ave and Mockingbird Station, this 2 bedroom 1 and a half bath duplex comes with large bedrooms, a covered patio and a 2 car garage. This also feeds into the much sought after Stonewall Jackson Ele, enjoy East Dallas living at its finest! ° Additional Info: Pets allowed limit 2, unfurnished, available 5/1, 2 covered parking space(s), 1 fireplace(s), Dallas ISD. ° Beautiful 100% remodeled 2 bdrm 2 bath M Street, Mock. Station, Glencoe Park area Duplex. Walls skimmed to modern smooth finish. All new trim, paint, hardware, plumbing & lighting fixtures. Eat-in white kitchen, glass tile back splash, white quartz counters, tile floors, new SS appliances. Modern luxury bathrooms with quartz counters, floating vanities, tile tub & shower, frame-less glass shower doors in master, tile flooring. New energy efficient windows and HVAC. Great closets. 1 car garage. Large yard & back patio. Awesome location with Glencoe Park & Katy Trail at the end of block and walk to Dart Station!! Owner is a licensed TX Realtor. ° Additional Info: No pets allowed, unfurnished, W/D connections incl., available 5/10, 1 covered parking space(s), Dallas ISD. ° Listing Agent: Alcie Massman, Compass RE Texas, LLC. ° Corner Duplex in a cul-de-sac. Laminate wood flooring in living dining and hallways. Woodburning Fireplace. Washer Dryer included. Updated ceramic tile in both baths. Split bedroom floor plan. Detached two car carport. Enclosed courtyard for outdoor enjoyment. Convenient to shopping, dining, and medical. Easy access to Central Expressway. No pets. No smoking. Owner-Agent. ° Additional Info: No pets allowed, unfurnished, W/D connections incl., available now, 2 covered parking space(s), 1 fireplace(s), Dallas ISD. ° Additional Info: Pets allowed limit 2, unfurnished, onsite W/D connections, available now, 0 covered parking space(s), 1 fireplace(s), Dallas ISD. ° Fantastic updated, 1st floor unit with 1,400 SF. Ideal location on lower Greenville within walking distance to shops and restaurants including Blue Goose & Terilli's! Open floorpan with 10 ft ceilings, completely painted throughout with beautiful hardwood floors and NEST thermostats. Kitchen with brand new stainless appliances, subway tile, & granite. Huge back yard with a new fence, for your pets to run wild! ° Additional Info: Pets allowed limit 3, unfurnished, available now, 0 covered parking space(s), 1 fireplace(s), Dallas ISD. ° Listing Agent: Svetlana Grujic, Compass RE Texas, LLC. ° Fantastic updated, 2nd floor unit with 1,300 SF and a lovely balcony. Ideal location on lower Greenville within walking distance to shops and restaurants including Blue Goose & Terilli's! Open floorpan with 10 ft ceilings, completely painted throughout with beautiful hardwood floors and NEST thermostats. Kitchen with brand new stainless appliances, subway tile, & granite. Huge back yard with a new fence, for your pets to run wild! ° Additional Info: No pets allowed, unfurnished, available now, 2 covered parking space(s), 1 fireplace(s), Dallas ISD. ° Listing Agent: Stephanie Pinkston, Allie Beth Allman & Assoc. ° Additional Info: No pets allowed, unfurnished, onsite W/D connections, available 6/10, 3 covered parking space(s), Dallas ISD. ° Nicely updated Half Duplex with 4 spacious bedrooms, 3 full baths and 1 half bath. Great for roommates and students! Close to SMU and walkable to restaurants and shops. This floorplan is great for students or roommates. Property has hand-scraped hardwood floors, granite countertops, stainless steel appliance, attached private garage parking and a great paved concrete courtyard for BBQ's and get togethers. The Katy Trail bike path extension goes right by the property too so you can ride or jog through Uptown Dallas easily and all the way down to the American Airlines Center. There are 2 units available. One has 5 bedrooms for $4375 per month. The other unit has 4 bedrooms and is $3700 per month. ° Additional Info: No pets allowed, unfurnished, onsite W/D connections, available 6/10, 4 covered parking space(s), Dallas ISD.